"... most urgently recommended to all admirers of the composer and of music from this period." "Critics’ Choice ... Järvi proves a most sympathetic conductor with passionate Welsh forces. A heart warming disc." "Five Stars ... the BBC National Orchestra gives warmly sympathetic renditions of music which was probably completely unfamiliar to them before the recording sessions ... Chandos sound is excellent." 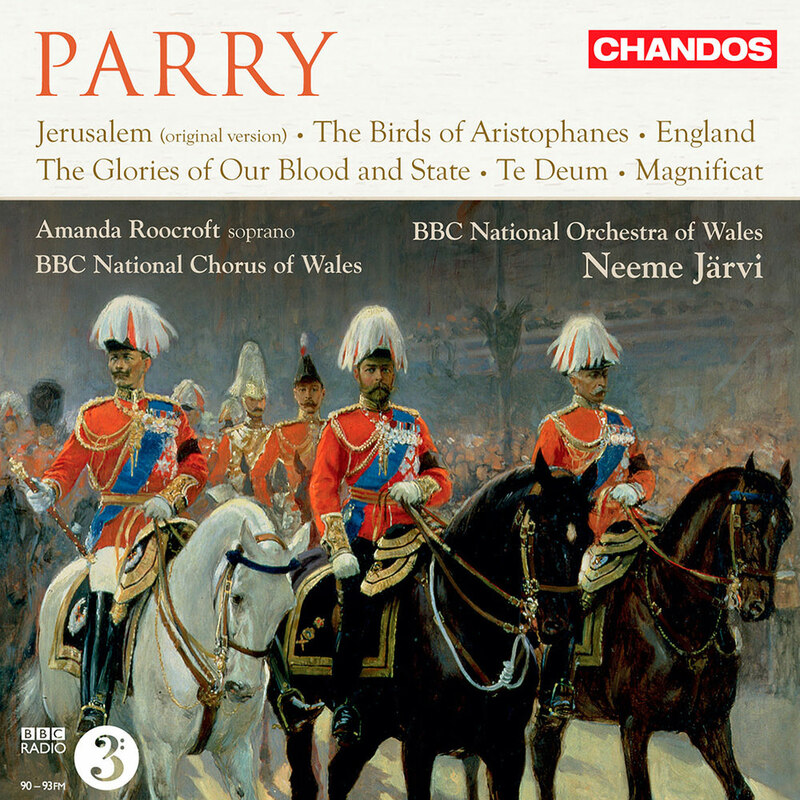 This release features orchestral and choral works spanning the length of Parry’s composing life, many of which are recorded here for the first time, performed by the BBC National Chorus and Orchestra of Wales with soprano Amanda Roocroft under Neeme Järvi. Several pieces on this album have strong ties to members the Royal Family: Jerusalem was performed at the Royal Wedding of the Duke and Duchess of Cambridge, the Magnificat was dedicated to Queen Victoria on her Diamond Jubilee and the Te Deum was composed for the Coronation of George V in 1911. The orchestral suite from the incidental music to The Birds features the famous march which was played at the wedding of Queen Elizabeth II and Prince Philip and again as the processional march for the Queen’s arrival at the Royal Wedding in 2011.